Volbella is the latest FDA-approved injectable added to the Juvéderm family of dermal fillers. 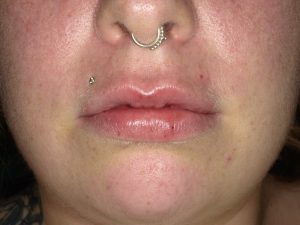 This non-surgical lip augmentation treatment is designed to plump the lips and minimize the appearance of fine lines around the mouth, also known as perioral rhytids or perioral lines. We are excited to offer this aesthetic service to our patients. Volbella is an optimal treatment choice for men and women because there are very minimal side effects, it is not permanent, and the results are natural-looking. At Eastpoint Dental, we are dedicated to bringing you cutting edge aesthetic treatments. Schedule a consultation today. A Volbella client at our office, immediately before the treatment. 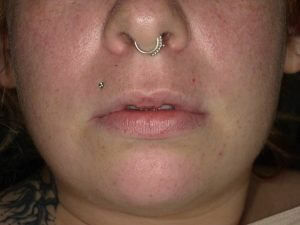 A Volbella client at our office, immediately after the treatment.